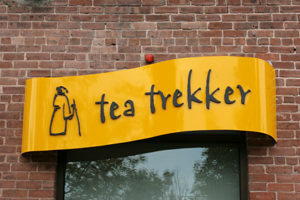 Tea Trekker no longer has retail store hours. We sell our tea and tea wares on-line only. Now customers both local and far away will enjoy the same premium tea and fast, convenient USPS home or office delivery of our products. After 42 years with a brick and mortar retail store in Northampton, MA, we have down-sized to a beautiful space in a small rural town, still in Western Massachusetts. Our focus remains the same: to draw on our expertise and accumulated knowledge to offer a selection of carefully chosen, well-made premium tea from the traditional tea producing regions of the world. Enjoy our tea! Please do not use email to place orders. The fastest and most secure method for ordering is always on our secure website – www.teatrekker.com – at your convenience….24/7. The best way to contact us or give us information is via email.